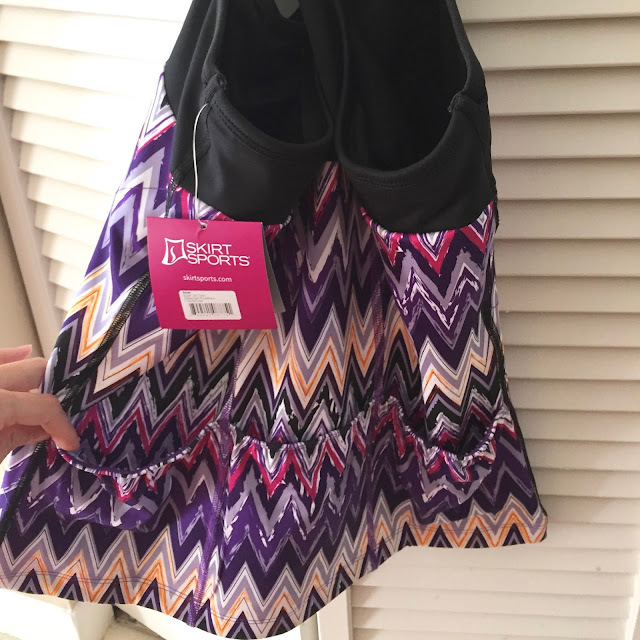 Disclosure: I am a Skirt Sports Ambassador and do receive a discount for my purchases. None of the links below are affiliate links because I'm too technologically-challenged to set that up. So, last week I went a little crazy. 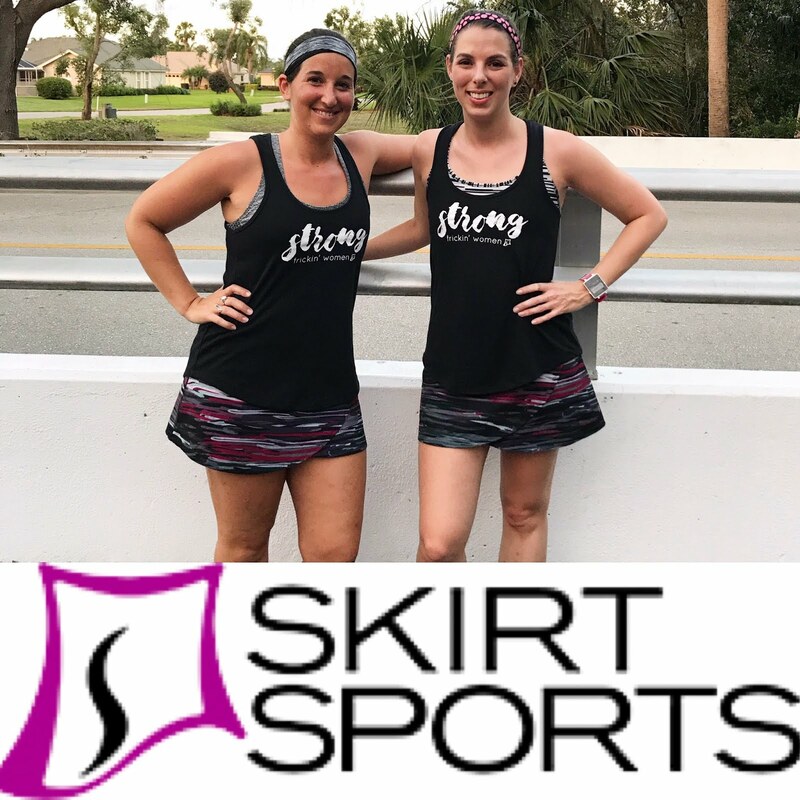 I have been waiting and waiting to load up on spring Skirt Sports stuff because they release the new styles a little bit at a time and I wanted everything I had seen in the ambassador teaser. I did give in and buy the Lioness in the new color back in February because I wanted it for my race, but otherwise I was waiting. This week, a giant package arrived and I immediately tried everything on and had a fashion show all by myself. Who's ready for some super awkward pictures?! 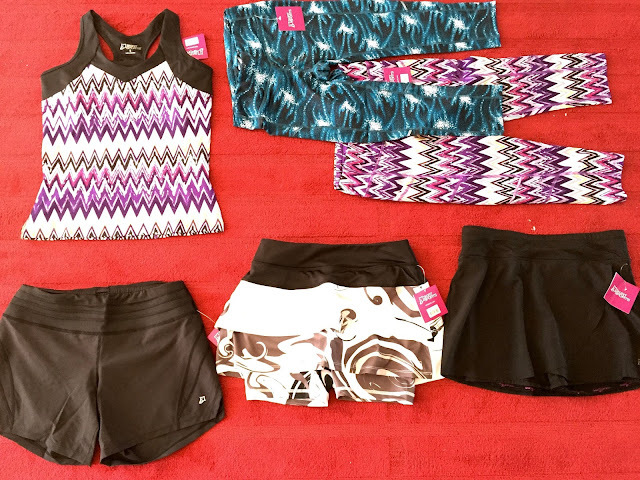 The haul: Super Girl tank in Sidewinder; Redemption Capris in Stargaze; Pocketopia capris in Sidewinder; Hover skirt in black; Cascade skirt in Persevere; Go Longer short in black. First I tried on the Super Girl tank with the Hover skirt. I need to return them both for smaller sizes; the SG is supposed to run small but seemed to run true to size for me; I shouldn't have sized up. The SG has a pocket in the built-in bra and three along the lower back! It's a perfect cycling top but I'll be wearing it for running, of course. 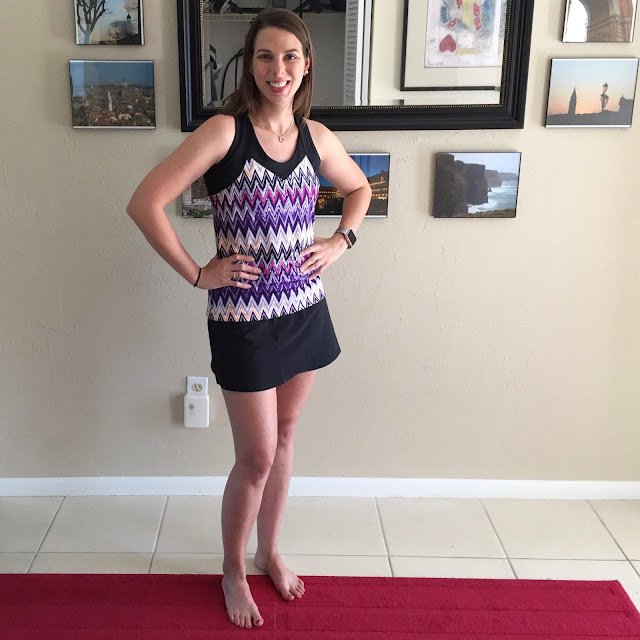 The Hover is the lightest skirt I have ever tried! The shorties underneath are mesh and the skirt is so fluttery. It's hard to tell in the picture but there's a slit and the skirt is kind of an "overlay" style. I'm anxious to have it in a smaller size so I can wear it! Next I tried on the Go Longer shorts. Lately I have been wanting slightly longer, airier shorts and thought I'd give these a try. I usually wear the Redemption Run shorts, which have a 4" inseam. These have a 6" and look a little long for me in the photo, but in person they're perfect! Plus, they're super comfortable and exactly what I was looking for. I changed into my Wonder Girl tank for the rest of my photoshoot so I wasn't mixing crazy prints. I love this tank top; it runs smaller than other Skirt Sport tanks, which works for me because their tanks tend to be a little on the loose side. And I love the built-in bra. Anyway, the new piece here is the Cascade skirt. I have this skirt in three prints now, and it's no wonder...it is just so cute! I love the tiers and it's so lightweight in this print! I own four (or five?) pairs of the Redemption capris. My only annoyance with them has always been the lack of pockets, which the new Pocketopia style corrects. These capris are lightly compressing, don't slip down or ride up, never give me camel-toe...and are basically just super fun and bright! 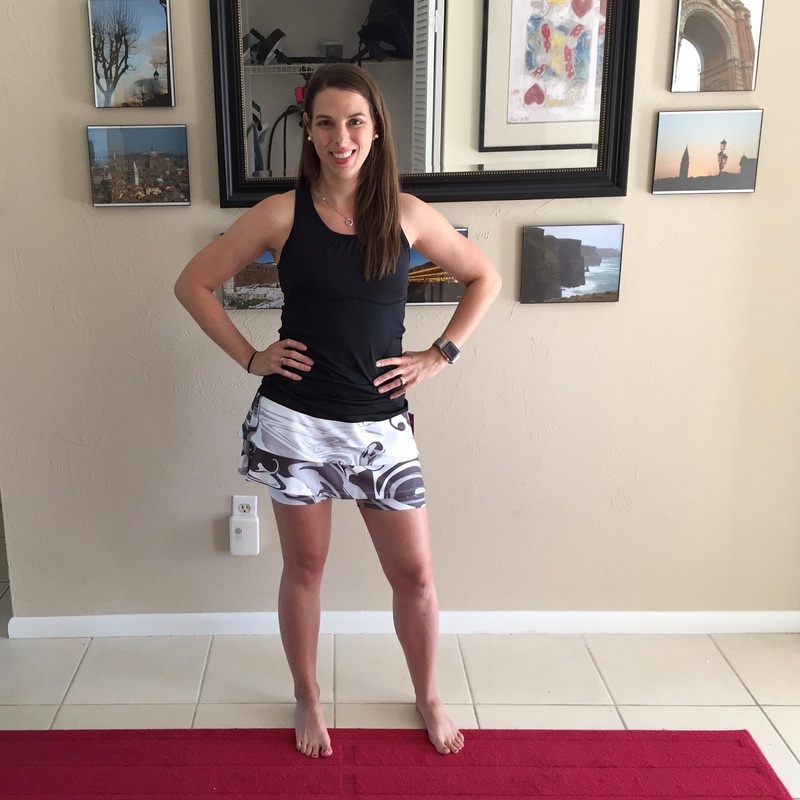 The Sidewinder print is by far my favorite Skirt Sports print these days. They really hit it out of the park with this one - even Elizabeth, who swears by her Walmart running gear usually (which is totally fine!) is now seriously considering picking something up because Sidewinder is just that irresistible. 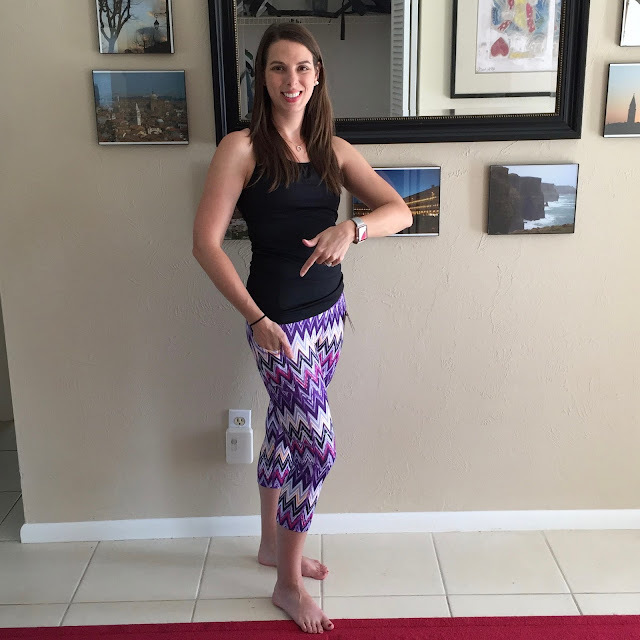 The new Pocketopia capris have a pocket on each leg that easily fits my cell phone and other goodies. 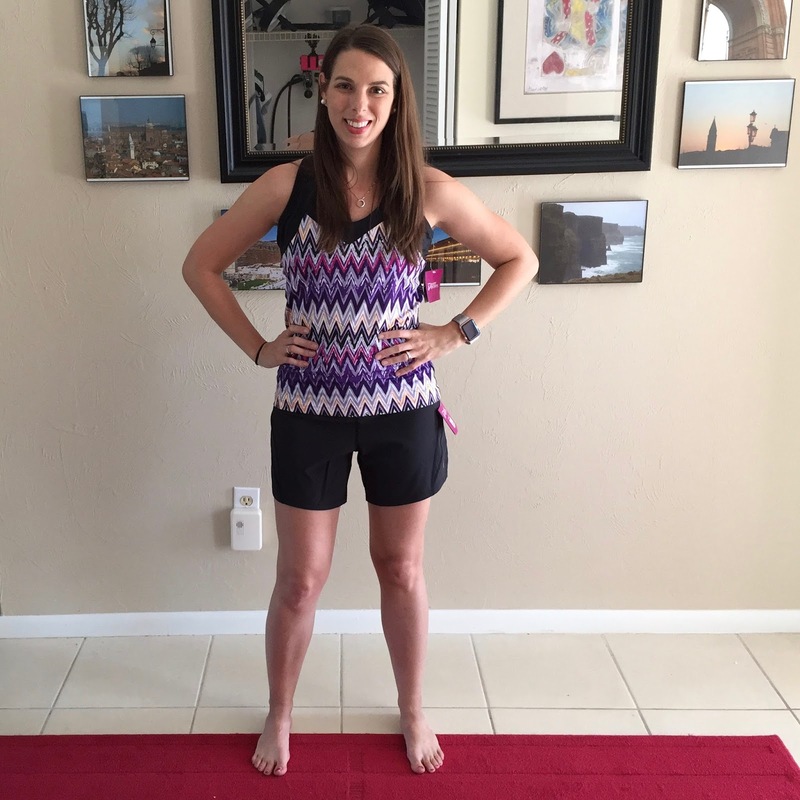 I rarely get to run in capris because...well, Florida...so the pockets aren't always necessary, but they are good to have anyway! Both of these capris have a zippered pocket in the back and a key pocket in front. The Pocketopia run a little less compressy than the Redemption; they're slightly stretchier, too. And that's it! I am so excited and ready to run...if I am ever able to run again. If my little splurge piqued your interest, remember to use the discount code 1SSCAPT20 through the end of March for 20% off your purchase! Which of the prints do you like best? 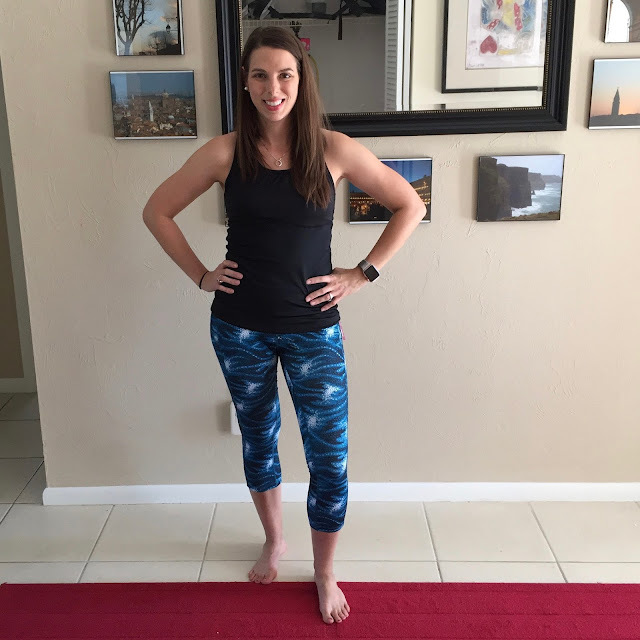 Do you like wearing loud/bright workout clothes? What is a must-have feature you look for in workout clothes? Love the pics! I'm also training for a half marathon with SportMe training half marathon, which calculates distance, time, pace and calories. I love the sidewinder print. I am a creature of habit and have mostly GGU. But I did buy the wonder tank and can't wait to wear it. You look great in your clothes. Love both pairs of capris....super jealous! I don't know how I missed this!! Great fashion show!! I love that blue print, it looks great on you!! I'm considering getting a lioness skirt, they look so cute!